They amazed their contemporaries, and some of them were horrified. By the Bauhaus buildings in Dessau, the Bauhäusler created something radically new. Not only in their architecture. The Bauhaus buildings served as prototypes of modern life. The Bauhaus moved between radical utopia, societal visions and social realities. Much of what was radically foresighted and structurally realized for the first time has become standard today. However, which new concepts do we need for a future-oriented architecture? And is radicalism actually topical anymore? This is where the Festival Architecture Radical comes into play. The Bauhaus buildings in Dessau are prototypes of radical designs for the future. They were developed for real life and tested in it. In the Festival Architecture Radical, the Bauhaus Dessau raises the question in how far architectural radicalism is still topical today. What should be the bases for the design of new architectures that are capable of creating a worldwide impact like the Bauhaus buildings? 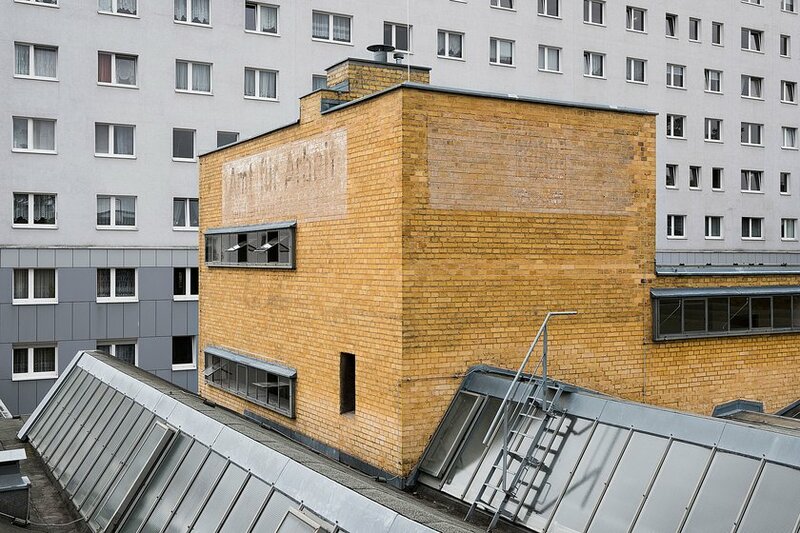 For three days, the Open Stage in the Dessau Bauhaus Museum and the Employment Office designed by Walter Gropius become the festival headquarters and in this way the authority for radically contemporary construction. 100 students of all design disciplines, who understand construction and architecture as a utopian task, are invited to the Festival Architecture Radical in Dessau. Attended by ten renowned architects, they are active in workshops with lectures and open space conferences, think and design, live and celebrate together in an atmosphere providing space for visions and utopias. At the end of the Festival, the students enter into a “battle” against each other by the results obtained in the workshops. Based on designs of the participating architects, temporary installations are created at the festival locations, so-called Signature Architectures. As structural interventions, they make symbolically and radically functionally reference to the subjects of the festival. They stand for the Bauhaus strategy “inventing construction and exploring attention” (Josef Albers). They locate the festival visibly in the public space, are exemplary for the festival programme, and create atmospheric spaces inside and in front of the festival headquarters. At the end of the festival, elements of the Signature Architectures will be symbolically auctioned for the price of the best ideas for further use. The Festival Architecture Radical will be officially opened on the evening of the 31st of May by a talk in front of the historical Employment Office. It centres on the question what is actually radicality of architecture and design in their regarding temporal and social context from the Bauhaus until today? Afterwards, the Bauhaus Dessau, together with the City of Dessau-Rosslau and all their guests and neighbouring residents, celebrates the opening of the festival in front of the historical Employment Office. Public Radical Tours are made through the Bauhaus buildings and the city centre on the 1st and 2nd of June. The re-narrative of the original Bauhaus buildings is comprehensively presented, and Dessau is positioned in the centenary as a crystallization point of modern architecture. In the Long Night of Architecture Films held on 1st of June, developed and realized in cooperation with ARTE und KIEZ Kino Dessau, historical and contemporary films will be shown on the “Open Stage” of the Dessau Bauhaus Museum and as an open-air event in the City Park. The following architects will participate: Andrej Bernik (Paris), atelier le balto (Berlin), Sam Chermayeff (Berlin), Frida Escobedo (Mexico City), Donatella Fioretti (Berlin), Andrés Jaque (Barcelona), Anupama Kundoo (Madrid/Pondicherry), Jürgen Mayer H. (Berlin), Ippolito Pestellini (Rotterdam), umschichten (Stuttgart). Simultaneously to the Festival Architecture Radical, the Werkleitz Festival “Model and Ruin” will be held in Dessau.